On this episode of V8 Radio, Kevin Oeste and Mike Clarke bring you a behind the scenes look at what it takes to shoot Muscle Car Of The Week! 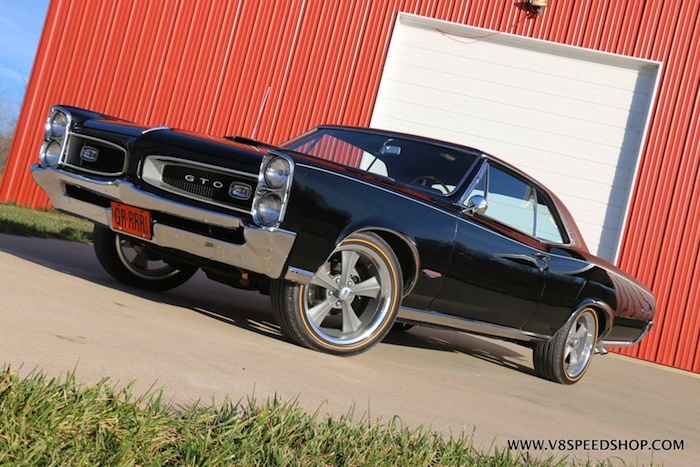 Plus, some updates from the V8 Speed & Resto Shop including a 1969 Corvette with an LS3 and a Modern Driveline 6-Speed, and a 1966 Olds 442 with an updated LS engine as well. This lead to a discussion of the ever-present LS engine debate in Muscle Cars. And then... can YOU guess the trivia contest? On this episode of V8 Radio, Kevin Oeste and Mike Clarke cover the 2017 V8TV Drive In Cruise event where nearly 400 cool and classic cars came out to see American Graffiti on the big screen! They also chat about Mike's challenges with his engine machine shop and share some suggestions on how to get projects done. There's also the trivia questions and a few laughs, all for the same low price! 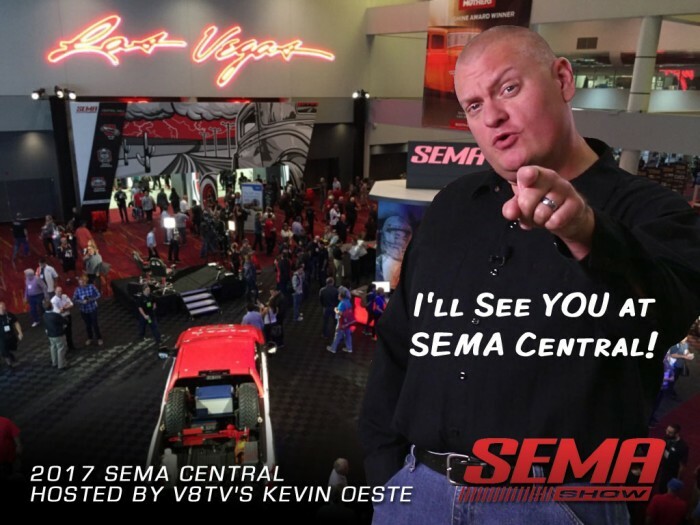 On this episode of V8 Radio, Kevin Oeste and Mike Clarke cover some challenges of working on your own car in your own garage. Kevin just completed two upgrades including a Borgeson power steering upgrade with ididit tilt column and a Grant steering wheel on his 1962 Galaxie, and also installed a Street Demon carburetor on his 1970 Buick Riviera. They also chat about the highlights of the Street Machine Summer Nationals in St. Paul, MN. The show starts and ends with automotive trivia and you might find a few laughs in between! This episode of V8 Radio is jammed with stories as Mike Clarke and Kevin Oeste cover the 2017 Goodguys PPG Nationals in Columbus, Ohio, and the level of cars competing in the Street Machine Of The Year competition. They also discuss the merits of "survivor" cars versus restored, and Kevin's longtime appreciation of CARtoons Magazine. Of course, there are several tangents stemming from the trivia question of the day along with other nonsense. Read More to see the photos! As classic car enthusiasts, we know that sometimes things don't go the way we wish. Parts wear out and break, new parts sometimes don't work right out of the box, and things that were once fixed can change with usage. Although frustrating, it's just part of the joys of old car ownership. On this episode, Mike and Kevin chat about how to handle things when they don't go smoothly. There's also the usual trivia questions and goofy stories from our two "regular guy" hosts. The "Experts" are quick to point out the value of classic and muscle cars, but on this episode of V8 Radio, Mike Clarke and Kevin Oeste discuss elements that many might not consider when assigning value to their classic cars. Of course, there's always some contrived automotive trivia question, and this episode is no different. Add to that some thoughts on springtime events, and you've got another jam-packed (sort-of) episode of V8 Radio! Welcome to a super-special episode of V8 Radio, the companion program to the 200th episode of Muscle Car Of The Week! In this episode, we’re airing the complete interview we recorded with 3-time Indy 500 winner Bobby Unser recorded at the 2016 Muscle Car and Corvette Nationals MCACN in Chicago. This interview was a special stage presentation where Unser gave us the story about the amazing 1969 Ford Torino Pike’s Peak racer he drove to victory in 1969. The legendary cast of characters in the story includes Bunkie Knudsen, Smokey Yunick, Bill Stroppe, Holman & Moody, and many others, and Unser tells the fascinating story as if it happened yesterday. The car is a purpose-built stock car built by Bill Stroppe and Holman & Moody and is powered by a Smokey Yunick built Boss 429. Unser had not seen the car since ‘69, but he was surprised to learn that the car remains in as-raced condition today. He went on to share many stories of racing in general, and how to be a winner not only on the track but also in life, and a great recollection of a huge party after a winning snowmobile racing season! 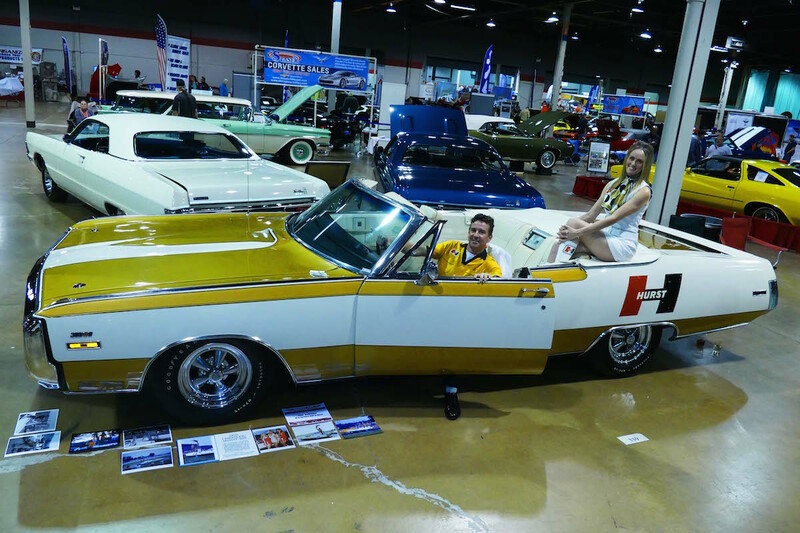 The display was a huge hit at the Muscle Car and Corvette Nationals, and the car is a very special piece of racing history in the Brothers Collection. Enjoy the show! V8 Radio: Road Trip Tips, Finding Your Lost Car, Car Trivia, and More! On this episode of V8 Radio, Mike and Kevin discuss some tips for working with a machine shop, and also some considerations for preparing your classic or Muscle Car for summer road trip. Later, Kevin tells the story of tracking down his Dad's long-lost motorcycle and reveals some tricks on how to seek out an old car using some car-guy detective work. Also, Mike gives us a GTO engine update and Kevin shares the news about the 1966 Galaxie 7-L restored at the V8 Speed & Resto Shop landing on the cover of Hemmings Muscle Machines Magazine. Throw in a couple automotive trivia questions and you have a jam-packed extended length special episode of V8 Radio! Click To Download the FREE Road Trip Checklist! 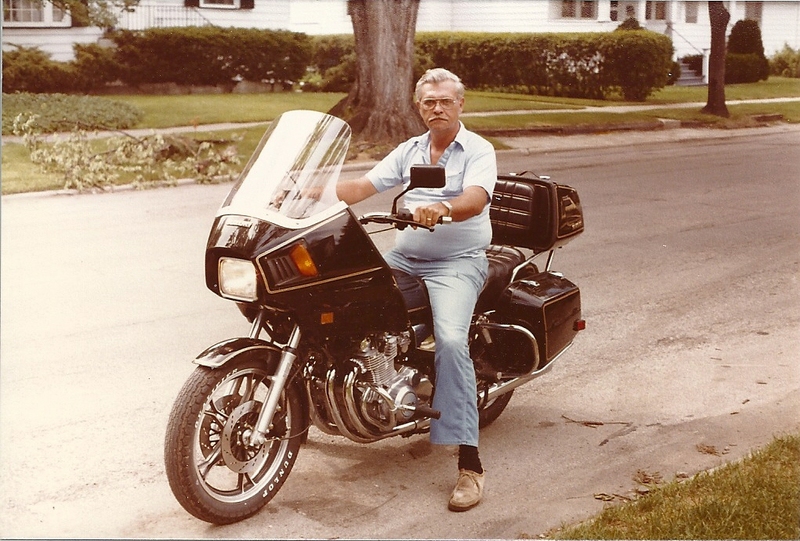 Kevin's dad "Big Al" on the 1982 Suzuki GS 1100 GK referenced in this episode of V8 Radio. The world needs more technicians in a variety of fields, and on this episode of V8 Radio, Mike Clarke and Kevin Oeste recap a recent visit to Ranken Technical College and their spring job fair where Kelle and Kevin met dozens of new automotive technicians entering the workforce. They also have fun with another trivia question, some project updates, and a few laughs and you've got another exasperating episode of V8 Radio! There are good times and bad times when working in your garage on classic cars, and on this episode of V8 Radio, Mike Clarke and Kevin Oeste share some tips to help your garage time more successful, enjoyable, and less stressful. Life would certainly be less stressful in the garage in our lead photo, but unfortunately, that's just a cool pic we got from the Racedeck website. Throw in the trivia question, some project stories, and a few laughs and you've got another super-thrilling episode of V8 Radio! V8 Radio: How It All Began, Car Trivia, a V8 Track Day, and More!